To determine the factors associated with remission at 3, 6, 9 and 12 months among depressive adult patients in primary care [PHC] in Chile. This is a one-year naturalistic study that followed 297 patients admitted for treatment of depression in eight primary care clinics in Chile. Initially, patients were evaluated using: the International Mini-Neuropsychiatric Interview [MINI], a screening for Childhood Trauma Events [CTEs], the Life Experiences Survey and a partner violence scale. The Hamilton Depression Scale [HDRS] was used to follow the patients during the observation time. Associations between the factors studied and the primary outcome remission [HDRS ≤ 7] were assessed using a dichotomous logistic regression and a multivariate Poisson regression. The significance level was 0.05. Almost 50% of this sample failed remission in depression at 12 months. Psychiatric comorbidities and CTEs are factors that should be considered for a poor outcome in depressed Chilean patients. These factors need more recognition and a better approach in PHC. Keywords: Depression, Remission, Primary health care, Child abuse, Logistic, Dichotomous. © 2018 Vitriol et al. In Chile, as in the world, major depression is a relevant public health problem [1The Global Burden of Disease: 2004 Update 2008.http://www.who.int/healthinfo/ global_burden_disease/GBD_report_2004 update_full.pdf, 2Salvo G L. Magnitude, impact and recommended management strategies for depression, with reference to Chile. Rev Med Chil 2014; 142(9): 1157-64. [http://dx.doi.org/10.4067/S0034-98872014000900010] [PMID: 25517056] ]. Among the general Chilean adult population, it is estimated that lifetime prevalence of major depressive episodes is 9% [3Vicente B, Kohn R, Rioseco P, Saldivia S, Levav I, Torres S. Lifetime and 12-month prevalence of DSM-III-R disorders in the Chile psychiatric prevalence study. Am J Psychiatry 2006; 163(8): 1362-70. [http://dx.doi.org/10.1176/ajp.2006.163.8.1362] [PMID: 16877648] ] and the prevalence of depressive symptoms during the last year reached 17.2% [4National Health Survey, ENS, 2009-2011 2011.]. Since 2001, in the Chilean health system, a specific program to treat depression has been implemented [5Araya R, Alvarado R, Sepúlveda R, Rojas G. Lessons from scaling up a depression treatment program in primary care in Chile. Rev Panam Salud Publica 2012; 32(3): 234-40. [http://dx.doi.org/10.1590/S1020-49892012000900009] [PMID: 23183564] ]. This program guarantees care and treatment costs according to the recommendations of the national depression guidelines [6Clinical guide for the treatment of people with depression 2013.http://www.minsal.cl/ portal/url/item/7222754637c08646 e04001011f014e64.pdf]. The current clinical guide provides recommendations for detection, diagnosis and treatment for depression at different levels of public health care. This guide categorizes the severity of depression based on the number of depressive symptoms, according to the tenth version of the International Classification of Diseases (ICD-10) [6Clinical guide for the treatment of people with depression 2013.http://www.minsal.cl/ portal/url/item/7222754637c08646 e04001011f014e64.pdf]. Mild, moderate and severe depressions without a current suicide attempt are treated in primary care (PHC). Only depressed patients with a current suicide attempt, psychosis, bipolarity and/or therapeutic refractoriness are sent from PHC to specialized treatment [6Clinical guide for the treatment of people with depression 2013.http://www.minsal.cl/ portal/url/item/7222754637c08646 e04001011f014e64.pdf]. In Chile, 90% of depression cases are solved by General Practitioners (GPs) and psychosocial teams in PHC [5Araya R, Alvarado R, Sepúlveda R, Rojas G. Lessons from scaling up a depression treatment program in primary care in Chile. Rev Panam Salud Publica 2012; 32(3): 234-40. [http://dx.doi.org/10.1590/S1020-49892012000900009] [PMID: 23183564] , 6Clinical guide for the treatment of people with depression 2013.http://www.minsal.cl/ portal/url/item/7222754637c08646 e04001011f014e64.pdf]. However, despite 15 years of the development of the national depression program [4National Health Survey, ENS, 2009-2011 2011., 5Araya R, Alvarado R, Sepúlveda R, Rojas G. Lessons from scaling up a depression treatment program in primary care in Chile. Rev Panam Salud Publica 2012; 32(3): 234-40. [http://dx.doi.org/10.1590/S1020-49892012000900009] [PMID: 23183564] ], there is still no evidence on the natural course of this illness and the factors associated with a worse outcome in PHC. To promote evidence-based decisions, current knowledge in this area is required. According to the current knowledge, the aim of depression treatment in PHC is the remission of depressive symptoms [7Gaynes BN, Jackson WC, Rorie KD. Mayor depressive disorder in the primary care setting. Stategies to achieve remission and recovery. J Fam Pract 2015; 64(9): S4-S15.http://www.mdedge.com/jfponline/article/102276/[PMID: 26546962] ]. The evidence shows that this outcome reaches between 25% at 3 months and 50-70% at 12 months in PHC naturalistic studies carried out in North America, Europe and Asia [8Whiteford HA, Harris MG, McKeon G, et al. Estimating remission from untreated major depression: A systematic review and meta-analysis. Psychol Med 2013; 43(8): 1569-85.https://www.ncbi.nlm.nih.gov/pubmed/22883473[http://dx.doi.org/10.1017/S0033291712001717] [PMID: 22883473] -15Rossom RC, Solberg LI, Vazquez-Benitez G, et al. Predictors of poor response to depression treatment in primary care. Psychiatr Serv 2016; 67(12): 1362-7. [http://dx.doi.org/10.1176/appi.ps.201400285] [PMID: 27417890] ]. In these studies, initial severity of depressive symptoms, psychiatric comorbidities, biomedical conditions and poor adherence to treatment are the factors most associated with poor remission [10Ansseau M, Demyttenaere K, Heyrman J, Migeotte A, Leyman S, Mignon A. Objective: Remission of depression in primary care The Oreon Study. Eur Neuropsychopharmacol 2009; 19(3): 169-76. [http://dx.doi.org/10.1016/j.euroneuro.2008.10.003] [PMID: 19144502] -15Rossom RC, Solberg LI, Vazquez-Benitez G, et al. Predictors of poor response to depression treatment in primary care. Psychiatr Serv 2016; 67(12): 1362-7. [http://dx.doi.org/10.1176/appi.ps.201400285] [PMID: 27417890] ]. There is a lack of evidence in PHC regarding the factors that are associated with a worse outcome and the time when the same sample is evaluated. Understanding this could contribute to the recognition of subgroups of PHC depressed patients who could achieve remission at different times, according to clinical or psychosocial factors present at baseline. Another issue that needs more evidence in PHC is the influence of Childhood Trauma Events (CTEs) and other adverse biographical experiences on the natural evolution of depression. According to studies developed during the last thirty years [16Nemeroff CB. Paradise lost: The neurobiological and clinical consequences of child abuse and neglect. Neuron 2016; 89(5): 892-909. [http://dx.doi.org/10.1016/j.neuron.2016.01.019] [PMID: 26938439] , 17Teicher MH, Samson JA. Childhood maltreatment and psychopathology: A case for ecophenotypic variants as clinically and neurobiologically distinct subtypes. Am J Psychiatry 2013; 170(10): 1114-33. [http://dx.doi.org/10.1176/appi.ajp.2013.12070957] [PMID: 23982148] ], there is enough evidence showing a preeminent role of CTEs in vulnerability for developing major psychiatric disorders such as depression [16Nemeroff CB. Paradise lost: The neurobiological and clinical consequences of child abuse and neglect. Neuron 2016; 89(5): 892-909. [http://dx.doi.org/10.1016/j.neuron.2016.01.019] [PMID: 26938439] , 17Teicher MH, Samson JA. Childhood maltreatment and psychopathology: A case for ecophenotypic variants as clinically and neurobiologically distinct subtypes. Am J Psychiatry 2013; 170(10): 1114-33. [http://dx.doi.org/10.1176/appi.ajp.2013.12070957] [PMID: 23982148] ]. This vulnerability is an expression of altered stress responsiveness and a consequence of neurobiological alterations in the circuitry involved in stress and emotion regulation [16Nemeroff CB. Paradise lost: The neurobiological and clinical consequences of child abuse and neglect. Neuron 2016; 89(5): 892-909. [http://dx.doi.org/10.1016/j.neuron.2016.01.019] [PMID: 26938439] ]. 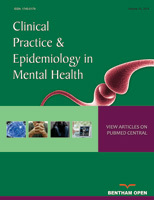 However, despite the deleterious consequences of CTEs in adult health, these backgrounds are not properly inquired in adult subjects when they consult health services [29van der Kolk B. Commentary: The devastating effects of ignoring child maltreatment in psychiatry: A commentary on Teicher and Samson 2016. J Child Psychol Psychiatry 2016; 57(3): 267-70. [http://dx.doi.org/10.1111/jcpp.12540] [PMID: 26889892] ]. Probably, in relation to this fact, there is a lack of evidence regarding the influence of CTEs on depression remission in PHC. Specifically in Chile, there is evidence that shows that between 60 - 80% of depressed patients report having been exposed to at least one CTE during their life [30Vitriol V, Cancino A, Weil K, Salgado C, Asenjo MA, Potthoff S. Depression and psychological trauma: An overview integrating current research and specific evidence of studies in the treatment of depression in public mental health services in chile. Depress Res Treat 2014; 2014: 608671. [http://dx.doi.org/10.1155/2014/608671] [PMID: 24695633] ], associated with more severity and comorbidity of depression [30Vitriol V, Cancino A, Weil K, Salgado C, Asenjo MA, Potthoff S. Depression and psychological trauma: An overview integrating current research and specific evidence of studies in the treatment of depression in public mental health services in chile. Depress Res Treat 2014; 2014: 608671. [http://dx.doi.org/10.1155/2014/608671] [PMID: 24695633] , 31Vitriol V, Cancino A, Ballesteros S, Potthoff S, Serrano C. Factors associated with greater severity of depression in Chilean primary care. Prim Care Companion CNS Disord 2017; 19(3)[http://dx.doi.org/10.4088/PCC.16m02051] [PMID: 28472556] ]. In addition, almost half of the women diagnosed with depression in PHC reported having been victims of violence inflicted by their partners [32Vitriol V, Cancino A, Leiva-Bianchi M, et al. Childhood trauma and psychiatric comorbidities in patients with depressive disorder in primary care in Chile. J Trauma Dissociation 2017; 18(2): 189-205. [http://dx.doi.org/10.1080/15299732.2016.1212449] [PMID: 27782795] ]. This research aimed to determine remission rates at 3, 6, 9 and 12 months, in a sample of depressed patients in Chilean PHC, and, in turn, to establish which factors predict poor remission at each time of evaluation and which could have an effect on the number of remissions over the observation period. A longitudinal cohort study was conducted in the Maule Region in Chile between February and September 2014. The protocol was approved by the Ethics Committees of the Universidad de Talca and the Maule Regional Health Service. All subjects provided verbal and written informed consent prior to participation. Considering previous national studies, a convenience sample was calculated with 95% of confidence, 80% of power and a 30% dropout rate. According to this, 336 cases were needed. The cases were recruited from 2984 patients older than 15 years that were admitted to PHC treatment for depression in 8 urban clinics between February and September 2014. Patients were invited by their GPs to participate in this study. In turn, they also determined in each patient the autonomy to sign an informed consent. Exclusion criteria included organic brain damage, sensory disability, referral to secondary care at the time of admission due to current severe suicide attempt, bipolarity and/or psychosis. When 440 patients had been evaluated by the research team, the recruitment time ended. Based on the ICD-10 criteria [33Alvarado R, Vega J, Sanhueza G, Muñoz G. Evaluación del programapara la detección, diagnóstico y tratamiento Integral de la depresión en atenciónprimaria en Chile. Rev Panam Salud Publica 2005; 18(4-5): 278-86.http://www.scielosp.org/pdf/rpsp/v18n4-5/28090.pdf[http://dx.doi.org/10.1590/S1020-49892005000900008] [PMID: 16354425] ], a depressive episode diagnosis was confirmed by psychiatrists and psychologists using the Mini-International Neuropsychiatric Interview (MINI) [34World Health Organization. WHO ICD-10International ClasificationDisease 10th ed. 10th ed.1992.]. Forty-six patients did not meet the criteria for a depressive episode. Thus, 394 patients were admitted in the study. 1- Screening for CTEs [35Sheehan DV, Lecrubier Y, Sheehan KH, et al. The Mini-International Neuropsychiatric Interview (M.I.N.I. ): The development and validation of a structured diagnostic psychiatric interview for DSM-IV and ICD-10. J Clin Psychiatry 1998; 59(20)(Suppl. 20): 22-33. [PMID: 9881538] ], evaluating whether the patients remember having suffered one of the following events before the age of 15: traumatic separation from caregiver during more than one month, alcohol or drug abuse by a family member, physical abuse, physical injury associated with the physical abuse, domestic violence between parents or caregivers, and sexual abuse by a relative and/or non-relative. This instrument has been validated and used in Chile in previous works [36Marshall RD, Schneier FR, Lin SH, Simpson HB, Vermes D, Liebowitz M. Childhood trauma and dissociative symptoms in panic disorder. Am J Psychiatry 2000; 157(3): 451-3. [http://dx.doi.org/10.1176/appi.ajp.157.3.451] [PMID: 10698824] -38Weil K, Florenzano R, Vitriol V, et al. Child battering and adult psychopathology: An empiric study. Rev Med Chil 2004; 132(12): 1499-504. [http://dx.doi.org/10.4067/S0034-98872004001200007] [PMID: 15743161] ]. 2- Life Experiences Survey (LES). It consists of 47 items that investigate vital changes that occurred during previous six months with both positive and negative connotations [39Vitriol V, Ballesteros S, Florenzano R, Weil K, Benadof D. Evaluation of an outpatient intervention for women with severe depression and a history of childhood trauma Psychatr Serv 2009; 60: 636-942. [http://dx.doi.org/10.1176/ps.2009.60.7.936] ]. A Spanish translation [40Sarason IG, Johnson JH, Siegel JM. Assessing the impact of life changes: Development of the Life Experiences Survey. J Consult Clin Psychol 1978; 46(5): 932-46. [http://dx.doi.org/10.1037/0022-006X.46.5.932] [PMID: 701572] ] was used. For the purposes of this study, only the negative life experiences were considered. 3- Questionnaire for Intimate Partner Violence (IPV). This instrument consists of 12 questions based on the World Health Organization (WHO) definition for physical, psychological and sexual violence, with frequencies of never, once or twice, and three or more times. This questionnaire has been used in previous studies in Chile [41Páez D, et al. Salud Mental y Factores Psicosociales 1986.]. 4- Mini International Neuropsychiatric Interview (MINI) [34World Health Organization. WHO ICD-10International ClasificationDisease 10th ed. 10th ed.1992.]. It is a brief and highly structured interview that investigates major psychiatric disorders listed in the ICD-10 and in the fourth edition of the Diagnostic and Statistical Manual of Mental Disorders (DSM-IV). 5- Hamilton Rating Scale for Depression (HDRS). This 17 item version was used to determine the severity of the disease at baseline [42Illanes E, Bustos L, Vizcarra B, Muñoz S. Violencia y factores sociales en mujeres de la ciudad de Temuco. Rev Med Chil 2007; 135: 326-34. [http://dx.doi.org/10.4067/S0034-98872007000300007] [PMID: 17505578] ]. This scale was also used to follow-up the patients at 3, 6, 9, and 12 months. A score ≤ 7 was considered indicative of remission [43Ramos-Brieva JA, Cordero-Villafafila A. A new validation of the Hamilton Rating Scale for Depression. J Psychiatr Res 1988; 22(1): 21-8. [http://dx.doi.org/10.1016/0022-3956(88)90024-6] [PMID: 3397906] ]. Longitudinal data collection occurred between April 2014 and October 2015. The statistical data analysis was conducted using the fourteenth version of the Statistical Package for the Social Sciences (SPSS) program. A quality control of consistency of data was performed at the beginning and at each of the periods in order to ensure the reliability of data and the patient's response. The specialized team made sure to complete all the initial assessment instruments. In the case of patients with one missing data item or two non-consecutive missing data items in the HDRS, their measurements were considered through a simple imputation. A dichotomous logistic regression analysis was performed in order to determine the factors that explained lower remission of depressive symptoms at 3, 6, 9 and 12 months. Finally, a multivariate Poisson regression analysis to determine the factors that had an effect on the number of remissions during observation time was performed. The significance level was 0.05. Most patients were women (86.8%), who consulted during middle age (average 47.5 years) and a half lived with a partner and without paid activity. Near half of patients reported having received previous treatment for depression and one suicide attempt was reported by 35% of participants. Demographic, clinical and psychosocial characteristics of sample. 297 patients consulting for depression in primary care, Maule region, Chile 2017. As for comorbidities, at least a biomedical pathology was presented in 55% of the patients and 89.1% presented one comorbid psychiatric disorder. Regarding biographical adversity, 82% of participants reported having been exposed to at least one CTE, 58.1% reported some type of IPV in their lifetime and 92.4% reported having experienced one or more stressful vital event during last 6 months. Regarding the initial sample, at 3 months were evaluated 309 patients (78.4%), at 6 months 344 patients (87%), at 9 months 256 patients (64.9%) and at 12 month 289 patients (73.3%). On the other hand, 204 patients completed all assessments, 35 participants missed only one evaluation and 58 patients missed two non-consecutive evaluations. The final cohort sample included 297 patients. Remission rates observed in the final cohort size sample were: 36.7% at 3 months; 47.8% at 6 months; 52.2% at 9 months and 53.9% at 12 months. Factors associated with lack of remission in different times of assesment. 297 patients consulting for depression in primary care, Maule region, Chile 2017. Finally, according to the multivariate Poisson regression, the Chi square test indicates that the proposed model allows a significant reduction in the size of the misfit (X2 = 40.98; p = 0.00]. In this case, the variables that were significant for the prediction of total remissions during the evaluation time were: CTEs [wald X2 = 4.88, Exp B=0.94, CI 0.90-0.92, p=0.27); psychiatric comorbidities (wald X2 = 10.73, Exp B=0.90, CI 0.85-0.96, p=0.01); suicidal tendencies (wald X2 = 4.66, Exp B=0.88, CI 0.79-0.98, p=0.031) and prior treatment for depression (wald X2 = 4.50, Exp B=0.81, CI 0.68-0.85, p=0.03) (Table 3). Parameters poisson regression in remission counts, 297 patients consulting for depression in primary care, Maule region, Chile 2017. Including these four variables, the model can be improved [X2 = 187.75; p = 0.00] and in this case near 3 or near 4 patients of the sample remit when there are no history of CTEs or psychiatric comorbidities or history of prior treatment for depression. (Exp B = 3.18, CI 2.69 3.76, p = 0.00) (Table 4). Parameters poisson regression in remission counts, improved model, 297 patients consulting for depression in primary care, Maule region, Chile 2017. In Chile, this is the first naturalistic study on the evolution of depressive symptoms in adult patients cared for at PHC, which could lead to a better understanding about their evolution and distinctive clinical features. Remission rates observed in this study were consistent with the findings of current literature [8Whiteford HA, Harris MG, McKeon G, et al. Estimating remission from untreated major depression: A systematic review and meta-analysis. Psychol Med 2013; 43(8): 1569-85.https://www.ncbi.nlm.nih.gov/pubmed/22883473[http://dx.doi.org/10.1017/S0033291712001717] [PMID: 22883473] -15Rossom RC, Solberg LI, Vazquez-Benitez G, et al. Predictors of poor response to depression treatment in primary care. Psychiatr Serv 2016; 67(12): 1362-7. [http://dx.doi.org/10.1176/appi.ps.201400285] [PMID: 27417890] ]. In 2014, a meta-analysis of remission rates of undiagnosed depressed primary care patients estimated that about one-quarter of cases reported remission within 3 months, one third within 6 months and a half within 12 months [8Whiteford HA, Harris MG, McKeon G, et al. Estimating remission from untreated major depression: A systematic review and meta-analysis. Psychol Med 2013; 43(8): 1569-85.https://www.ncbi.nlm.nih.gov/pubmed/22883473[http://dx.doi.org/10.1017/S0033291712001717] [PMID: 22883473] ]. In our study, the highest remission rate was observed at 3 and 6 months, which could be explained since this is a cohort of diagnosed depressed primary care patients. On the other hand, Chin et al. [12Chin WY, Chan KT, Lam CL, Wan EY, Lam TP. 12-Month naturalistic outcomes of depressive disorders in Hong Kong’s primary care. Fam Pract 2015; 32(3): 288-96. [http://dx.doi.org/10.1093/fampra/cmv009] [PMID: 25746447] ] in a one-year naturalistic study conducted in patients with diagnosed and undiagnosed depression in Hong Kong PHC could not establish a relationship between a higher remission rate at 12 months and a greater recognition of depressive symptoms by GPs, and if this recognition was associated with a prior achievement of remission [12Chin WY, Chan KT, Lam CL, Wan EY, Lam TP. 12-Month naturalistic outcomes of depressive disorders in Hong Kong’s primary care. Fam Pract 2015; 32(3): 288-96. [http://dx.doi.org/10.1093/fampra/cmv009] [PMID: 25746447] ]. This evidence can explain the results in our study in which almost 50% of the patients remitted at six months, a figure that then increased very little in the year of observation. It is important to note that the remission rates observed in our sample were higher than those observed in the depressive samples treated at a specialized level in Chile. According to the national clinical guide, depressed patients with current suicide attempt, psychosis, bipolarity and/or therapeutic refractoriness are sent from PHC to specialized treatment [4National Health Survey, ENS, 2009-2011 2011., 5Araya R, Alvarado R, Sepúlveda R, Rojas G. Lessons from scaling up a depression treatment program in primary care in Chile. Rev Panam Salud Publica 2012; 32(3): 234-40. [http://dx.doi.org/10.1590/S1020-49892012000900009] [PMID: 23183564] ]. In this country, according to two studies conducted at the specialized level, depression remission rates reach between 14% at six months and 27.5% at 12 months [38Weil K, Florenzano R, Vitriol V, et al. Child battering and adult psychopathology: An empiric study. Rev Med Chil 2004; 132(12): 1499-504. [http://dx.doi.org/10.4067/S0034-98872004001200007] [PMID: 15743161] , 44Möller HJ. Outcomes in major depressive disorder: The evolving concept of remission and its implications for treatment. World J Biol Psychiatry 2008; 9(2): 102-14. [http://dx.doi.org/10.1080/15622970801981606] [PMID: 18428079] ]. Some authors propose that the difference between depression remission rates observed in PHC versus specialized care can be explained considering that the query in PHC is for mild depressive symptoms and/or adjustment disorders that could resolve spontaneously [8Whiteford HA, Harris MG, McKeon G, et al. Estimating remission from untreated major depression: A systematic review and meta-analysis. Psychol Med 2013; 43(8): 1569-85.https://www.ncbi.nlm.nih.gov/pubmed/22883473[http://dx.doi.org/10.1017/S0033291712001717] [PMID: 22883473] , 12Chin WY, Chan KT, Lam CL, Wan EY, Lam TP. 12-Month naturalistic outcomes of depressive disorders in Hong Kong’s primary care. Fam Pract 2015; 32(3): 288-96. [http://dx.doi.org/10.1093/fampra/cmv009] [PMID: 25746447] ]. In this line of thinking, we propose that a timely recognition of depressive symptoms by the PHC team (which in Chile has been optimized thanks to the implementation of a specific program) would favor the resolution of this symptomatology probably before the spontaneous remission. Finally, it is important to note that almost 50% of patients of this sample failed to remit at 12 months. This result, which is consistent with the current literature [8Whiteford HA, Harris MG, McKeon G, et al. Estimating remission from untreated major depression: A systematic review and meta-analysis. Psychol Med 2013; 43(8): 1569-85.https://www.ncbi.nlm.nih.gov/pubmed/22883473[http://dx.doi.org/10.1017/S0033291712001717] [PMID: 22883473] -15Rossom RC, Solberg LI, Vazquez-Benitez G, et al. Predictors of poor response to depression treatment in primary care. Psychiatr Serv 2016; 67(12): 1362-7. [http://dx.doi.org/10.1176/appi.ps.201400285] [PMID: 27417890] ], is associated with factors that can be recognized during the first consultation at PHC [45Salvo L, Saldivia S, Parra C, et al. Clinical features of major depressive disorders treated in secondary health care facilities in Chile. Rev Med Chil 2017; 145(3): 335-43. [http://dx.doi.org/10.4067/S0034-98872017000300007] [PMID: 28548190] -47van Krugten FC, Kaddouri M, Goorden M, et al. Indicators of patients with major depressive disorder in need of highly specialized care: A systematic review. PLoS One 2017; 12(2): e0171659. [http://dx.doi.org/10.1371/journal.pone.0171659] [PMID: 28178306] ]. Through the analysis performed, history of childhood trauma, psychiatric comorbidity, suicide tendencies and previous depression are the factors that predicted a poor remission in this sample. These results are consistent with the evidence in depression literature [46Musliner KL, Munk-Olsen T, Eaton WW, Zandi PP. Heterogeneity in long-term trajectories of depressive symptoms: Patterns, predictors and outcomes. J Affect Disord 2016; 192: 199-211. [http://dx.doi.org/10.1016/j.jad.2015.12.030] [PMID: 26745437] ]. Of all of these factors, emphasis is placed on the importance of CTEs. The research team found a high prevalence of CTE in this sample. This result supports the evidence from previous studies carried out in Chile [29van der Kolk B. Commentary: The devastating effects of ignoring child maltreatment in psychiatry: A commentary on Teicher and Samson 2016. J Child Psychol Psychiatry 2016; 57(3): 267-70. [http://dx.doi.org/10.1111/jcpp.12540] [PMID: 26889892] ], but it is higher than the reports of other depressed samples [48Novick D, Hong J, Montgomery W, Dueñas H, Gado M, Haro JM. Predictors of remission inthe treatment of major depressive disorder: Real-world evidence from a 6-month prospective observational study Neuropsychiatr Dis Treat e Collection 2015 2015; 11(3): 197-205. [http://dx.doi.org/10.2147/NDT.S75498] ]. In addition, it is known that CTEs among depressed patients are associated with the same factors that were associated with lack of remission in our sample such as psychiatric comorbidities and suicidal tendencies [18Hovens JG, Wiersma JE, Giltay EJ, et al. Childhood life events and childhood trauma in adult patients with depressive, anxiety and comorbid disorders vs. controls. Acta Psychiatr Scand 2010; 122(1): 66-74. [http://dx.doi.org/10.1111/j.1600-0447.2009.01491.x] [PMID: 19878136] , 21Tunnard C, Rane LJ, Wooderson SC, et al. The impact of childhood adversity on suicidality and clinical course in treatment-resistant depression. J Affect Disord 2014; 152-154: 122-30. [http://dx.doi.org/10.1016/j.jad.2013.06.037] [PMID: 23880448] , 31Vitriol V, Cancino A, Ballesteros S, Potthoff S, Serrano C. Factors associated with greater severity of depression in Chilean primary care. Prim Care Companion CNS Disord 2017; 19(3)[http://dx.doi.org/10.4088/PCC.16m02051] [PMID: 28472556] ]. Teicher et al. and other authors, on the evidence of the last 30 years, support the idea that the complex clinical picture presented in patients with depression who were maltreated during childhood represents the expression of a distinct endo-phenotype [16Nemeroff CB. Paradise lost: The neurobiological and clinical consequences of child abuse and neglect. Neuron 2016; 89(5): 892-909. [http://dx.doi.org/10.1016/j.neuron.2016.01.019] [PMID: 26938439] , 17Teicher MH, Samson JA. Childhood maltreatment and psychopathology: A case for ecophenotypic variants as clinically and neurobiologically distinct subtypes. Am J Psychiatry 2013; 170(10): 1114-33. [http://dx.doi.org/10.1176/appi.ajp.2013.12070957] [PMID: 23982148] ]. This subtype of depression would need to be recognized and boarded in clinical practice through a different approach [49Spinhoven P, Elzinga BM, Hovens JG, et al. The specificity of childhood adversities and negative life events across the life span to anxiety and depressive disorders. J Affect Disord 2010; 126(1-2): 103-12. [http://dx.doi.org/10.1016/j.jad.2010.02.132] [PMID: 20304501] ]. In this sense, the results of this study were consistent with and might be explained by the early trauma hypothesis. Moreover, these findings provide evidence that can guide the approach to this subtype of depression in PHC. According to our data, the first analysis linked different factors to achieve remission in each evaluation time such as the CTEs that predicted poor remission at 3 months. This finding implies that depressed patients with a history of early trauma could need more time to achieve remission in PHC. However, considering the Poisson regression analysis, psychiatric comorbidities was the most important factor that predicted lack of remissions. Therefore, we propose that this factor should be prioritized, recognized and treated in patients with depression who consult in Chile PHC. Regarding psychiatric comorbidity, the evidence indicates that anxiety disorders are underdiagnosed in depressed patients consulting in PHC [50Hirschfeld RM. The Comorbidity of Major Depression and Anxiety Disorders: Recognition and Management in Primary Care. Prim Care Companion J Clin Psychiatry 2001; 3(6): 244-54. [http://dx.doi.org/10.4088/PCC.v03n0609] [PMID: 15014592] ]. This lack of recognition is associated with a worse prognosis of depression and suicide risk [50Hirschfeld RM. The Comorbidity of Major Depression and Anxiety Disorders: Recognition and Management in Primary Care. Prim Care Companion J Clin Psychiatry 2001; 3(6): 244-54. [http://dx.doi.org/10.4088/PCC.v03n0609] [PMID: 15014592] -52Howland RH, Rush AJ, Wisniewski SR, et al. Concurrent anxiety and substance use disorders among outpatients with major depression: Clinical features and effect on treatment outcome. Drug Alcohol Depend 2009; 99(1-3): 248-60. [http://dx.doi.org/10.1016/j.drugalcdep.2008.08.010] [PMID: 18986774] ]. Moreover, patients with anxiety-depression comorbidity need a different pharmacological and psychological treatment [53Coplan JD, Aaronson CJ, Panthangi V, Kim Y. Treating comorbid anxiety and depression: Psychosocial and pharmacological approaches. World J Psychiatry 2015; 5(4): 366-78. [http://dx.doi.org/10.5498/wjp.v5.i4.366] [PMID: 26740928] ]. The importance of anxiety in depression has been recognized and incorporated into the DSM V anxious subtype of depression [54Gaspersz R, Lamers F, Kent JM, et al. Longitudinal predictive validity of the DSM-5 anxious distress specifier for clinical outcomes in a large cohort of patients with mejor depressive disorder. J Clin Psychiatry 2017; 78(2): 207-13. [http://dx.doi.org/10.4088/JCP.15m10221] [PMID: 27035515] ]. The current clinical guideline in Chile offers recommendations based mainly on the recognition of depression symptoms according to ICD 10 [2Salvo G L. Magnitude, impact and recommended management strategies for depression, with reference to Chile. Rev Med Chil 2014; 142(9): 1157-64. [http://dx.doi.org/10.4067/S0034-98872014000900010] [PMID: 25517056] , 5Araya R, Alvarado R, Sepúlveda R, Rojas G. Lessons from scaling up a depression treatment program in primary care in Chile. Rev Panam Salud Publica 2012; 32(3): 234-40. [http://dx.doi.org/10.1590/S1020-49892012000900009] [PMID: 23183564] , 6Clinical guide for the treatment of people with depression 2013.http://www.minsal.cl/ portal/url/item/7222754637c08646 e04001011f014e64.pdf]. Taking into account the high prevalence of anxiety disorders shown in this sample [30Vitriol V, Cancino A, Weil K, Salgado C, Asenjo MA, Potthoff S. Depression and psychological trauma: An overview integrating current research and specific evidence of studies in the treatment of depression in public mental health services in chile. Depress Res Treat 2014; 2014: 608671. [http://dx.doi.org/10.1155/2014/608671] [PMID: 24695633] , 31Vitriol V, Cancino A, Ballesteros S, Potthoff S, Serrano C. Factors associated with greater severity of depression in Chilean primary care. Prim Care Companion CNS Disord 2017; 19(3)[http://dx.doi.org/10.4088/PCC.16m02051] [PMID: 28472556] ] and their relationship to poor remission, it is suggested that GPs in Chile should be trained to recognize and manage these psychiatric comorbidities in depressed patients. In contrast to what has been reported in several studies [9Stegenga BT, Kamphuis MH, King M, Nazareth I, Geerlings MI. The natural course and outcome of major depressive disorder in primary care: the PREDICT-NL study. Soc Psychiatry Psychiatr Epidemiol 2012; 47(1): 87-95. [http://dx.doi.org/10.1007/s00127-010-0317-9] [PMID: 21057769] -11Riihimäki KA, Vuorilehto MS, Melartin TK, Isometsä ET. Five-year outcome of major depressive disorder in primary health care. Psychol Med 2014; 44(7): 1369-79. [http://dx.doi.org/10.1017/S0033291711002303] [PMID: 22085687] , 13Vuorilehto MS, Melartin TK, Isometsä ET. Course and outcome of depressive disorders in primary care: a prospective 18-month study. Psychol Med 2009; 39(10): 1697-707. [http://dx.doi.org/10.1017/S0033291709005182] [PMID: 19250580] , 55Lamers F, Beekman AT, de Jonge P, Smit JH, Nolen WA, Penninx BW. One-year severity of depressive symptoms: Results from the NESDA study. Psychiatry Res 2011; 190(2-3): 226-31. [http://dx.doi.org/10.1016/j.psychres.2011.07.005] [PMID: 21802149] ], in our sample as well as in the Hong Kong study [12Chin WY, Chan KT, Lam CL, Wan EY, Lam TP. 12-Month naturalistic outcomes of depressive disorders in Hong Kong’s primary care. Fam Pract 2015; 32(3): 288-96. [http://dx.doi.org/10.1093/fampra/cmv009] [PMID: 25746447] ], the greater initial severity of depression could not be associated with lack of remission. This [apparently contradictory] result could be explained considering the hypothesis previously exposed: at PHC, a subgroup of depressed patients present adjustment disorders with initial severe symptoms on the basis of a vulnerability derived from exposure to adverse biographical events since childhood. Among these patients, initial interventions in PHC or their own personal resilience could favor a rapid decline in depression. Unlike what was expected, bio-medical comorbidity was not associated with lower remission in this sample. These results warrant further research, as the prevalence of medical conditions in depressed patients is two to three times higher than that reported in patients without depression [56Smith DJ, Court H, McLean G, et al. Depression and multimorbidity: A cross-sectional study of 1,751,841 patients in primary care. J Clin Psychiatry 2014; 75(11): 1202-8. [http://dx.doi.org/10.4088/JCP.14m09147] [PMID: 25470083] ] and medical comorbidity has been associated with a worse prognosis of depression as shown in other studies [57Katon W, Lin EH, Kroenke K. The association of depression and anxiety with medical symptom burden in patients with chronic medical illness. Gen Hosp Psychiatry 2007; 29(2): 147-55. [http://dx.doi.org/10.1016/j.genhosppsych.2006.11.005] [PMID: 17336664] ]. Finally, it is important to note that treatment for previous depression (which implies a chronic illness that already warranted a treatment) is a factor associated with a lower number of remissions during the observation time. This result may be associated to the same factors that predicted a worse prognosis in our sample. This requires more study and analysis since it could be a subgroup of patients who need a more-timely referral to the specialized level [46Musliner KL, Munk-Olsen T, Eaton WW, Zandi PP. Heterogeneity in long-term trajectories of depressive symptoms: Patterns, predictors and outcomes. J Affect Disord 2016; 192: 199-211. [http://dx.doi.org/10.1016/j.jad.2015.12.030] [PMID: 26745437] ]. The main strengths of this research were conducting it in Latino patients and the quality of the data. In fact, during the year of observation, the attrition rate was low. In addition, the mental health team had access to highly confidential patient records and made sure that their assessments were carried out using reliable standardized instruments. Moreover, this study incorporated the analysis of several adverse biographical events since childhood. We consider the following limitations: CTEs were investigated retrospectively and all psychiatric comorbidities or personality disorders were not inquired. The relationship between remission and recurrence during the year of observation was not analyzed. Furthermore, the treatment indicated and the use of health services should be studied and included in a future analysis. Finally, the data only came from the Maule Region and may not represent the reality of the rest of the country. Despite the above limitations, these results provide further evidence about the evolution of depressed patients, studied in a naturalistic context in PHC according to a national program implemented during more than one decade. These results indicate that the prediction of a poor outcome in depression in PHC should not only be based on clinical features. Also, biographical adversity becomes an important factor that should be considered. The clinical guidelines for the treatment of depression in Chile offer recommendations based mainly on the recognition of depressed symptoms according to ICD 10. On the other hand, it is known that neither biographical trauma nor psychiatric comorbidities are adequately inquired about when subjects consult for depression in PHC [28Sigurdardottir S, Halldorsdottir S. Repressed and silent suffering: consequences of childhood sexual abuse for women’s health and well-being. Scand J Caring Sci 2013; 27(2): 422-32. [http://dx.doi.org/10.1111/j.1471-6712.2012.01049.x] [PMID: 22849608] , 29van der Kolk B. Commentary: The devastating effects of ignoring child maltreatment in psychiatry: A commentary on Teicher and Samson 2016. J Child Psychol Psychiatry 2016; 57(3): 267-70. [http://dx.doi.org/10.1111/jcpp.12540] [PMID: 26889892] , 50Hirschfeld RM. The Comorbidity of Major Depression and Anxiety Disorders: Recognition and Management in Primary Care. Prim Care Companion J Clin Psychiatry 2001; 3(6): 244-54. [http://dx.doi.org/10.4088/PCC.v03n0609] [PMID: 15014592] ]. The findings of this study indicate that other strategies aimed at improving the recognition of these clinical and psychosocial factors in depressed patients should be incorporated in PHC. The protocol was approved by the Ethics Committees of the Universidad de Talca and the Maule Regional Health Service. All subjects provided verbal and written informed consent prior to participation. This paper is part of the FONIS SA13 / 20135 project “Factors associated with the different evolutions by patients admitted to GES depression in Primary Care Region VII; following a cohort”. The authors acknowledge the Medical School of Universidad de Talca, Hospital San Juan de Dios de Curicó and Primary Health Care Communal Departments of Talca and Curicó. Thanks to Marcelo Leiva- Bianchi, Carolina Salgado, Marcela Ormazábal, Francisca Orellana, Cristian Caceres and Andrea Asenjo for their participation in the research team. Credit for assistance with translation and editing of this paper go to Anne Bliss and to Rachael Jiménez-Lange from the Academic Writing Center, Universidad de Talca. Especially, the researchers thank the patients who agreed to participate in this investigation and helped to provide insight into depression in Chilean PHC. National Health Survey, ENS, 2009-2011 2011. Vitriol V, Cancino A. Leiva- Bianchi M, Serrano C, Ballesteros S, Potthoff S et al The association between adverse childhood experiences with depression in adults consulting in primary care. Rev Med Chil 2017; 145: 1147-53. World Health Organization. WHO ICD-10International ClasificationDisease 10th ed. 10th ed.1992. Cuneo C, Gonzalez I, Jara M, et al. External validation of the trauma Marshall Scale Trauma – Infant - Juvenile and Adult Psychopathology, Edition: 1 2005. Páez D, et al. Salud Mental y Factores Psicosociales 1986.